The new Minister of the Government of Niue, the Hon Joan Sisiati Tahafa-Viliamu, has had a colourful and varied career as a public servant and businesswoman. The experience she has attained in these roles has given her a good strength to work for the country. Hon Tahafa-Villiamu was born on 22 March 1966. Hon Tahafa-Viliamu was born in Tuapa, Niue. She attended Matalave Primary School and Niue High School Intermediate. She started work as a Stamp Distributor Clerk in 1983-1985. She was appointed by the Treasury Department as the Travel Clerk/Receptionist from 1994-1995, the Personal Assistance to Financial Secretary from 1996-1998 and the Assistant Immigration Officer from 1999-2001. She was appointed by the Premier’s Department as the Assistant Statistician in 2002. 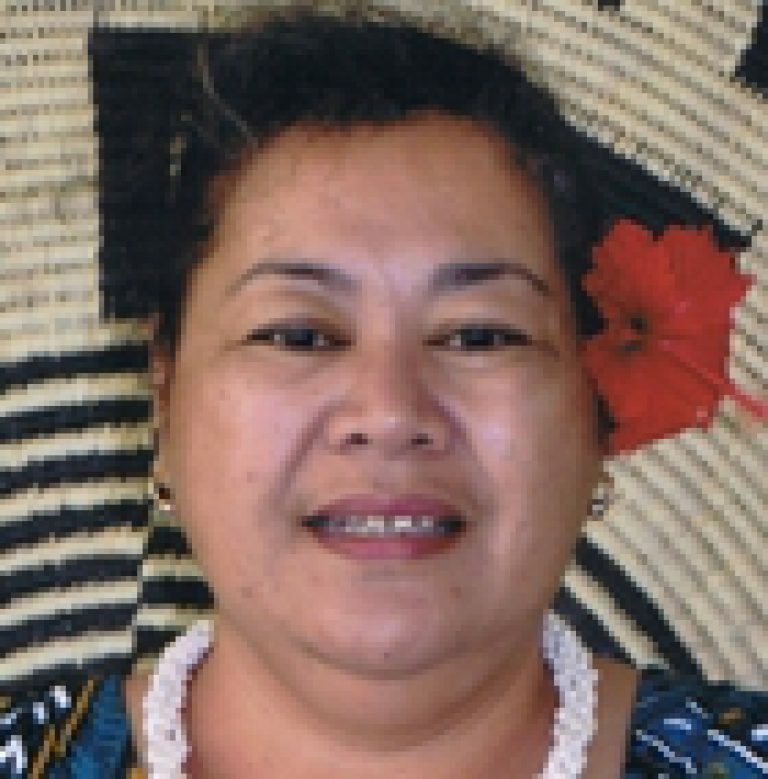 She was appointed by Taoga Niue as the Asisstant Archivist from 2002-2008. Hon Joan Tahafa-Viliamu resigned from the Government of Niue to set up a business for her family. She started a small entertainment business, Claytons Bar, in Alofi from 2008-2011. Hon Joan Tahafa Viliamu is married to Dimitry and they have four grown up children: Tsel has recently graduated with a BA in Nursing from Manukau Institute of Technology (MIT), Auckland, New Zealand, Narita is a Police Officer and a Gold Medalist in Weightlifting, Clayton and Afi are currently studying at Niue High School. Hon Joan Tahafa Viliamu’s husband Dimitry, is employed by Niue Public Service as a Senior Technician at Telecom Niue. Her hobbies include reading, cooking and sewing.